Then please do that. Love to see the 76ers stuck with Butler for 5 years. I second this. Please re-sign him, don’t give the Lakers FO a chance to make another mistake. Again, they gave up on "the process" once they shipped off markelle fultz. Near 100 mil for those 4 sounds a lot but they pretty much have no choice. That’s before Simmons is extended. I don't think Jimmy is going anywhere; but if he does my guess would be the Clippers. We're kind of stuck where we are; none of the big FA's are being tied to us or at least as first options and trying to acquire a superstar via trade is becoming almost impossible. And they will likely extend him down the line. If there's a chance to take advantage of his rookie contract, this FA class would be the best time since the next ones aren't exactly on the same level in comparison. They should trade Simmons. He doesn't fit with the other pieces. Simmons is still on his rookie contract for 2019-20. Lol no. He is the piece that makes everything go. I think he meant, they should trade Simmons to us... which is something I think we can all agree on, especially if we only have to match the dollars of his rookie contract. Oh, if they trade him to us I'd be ecstatic! He's someone you can build a team around for 10+ years. Holy (bleep)! I wouldn't want a locker room with Jimmy Butler and LeBron James at the same time. Who would you want as a realistic target, then? He literally can't shoot. Can you show me one example of a guy who was this bad and became a competent shooter? He's not even shooting with the correct hand. Personally, although I have reservations based on Jimmy Butler's exits from his past two teams... I would not say I didn't want him here so definitively. It all depends on who is available and what kind of deal he'd be open to. I'm kinda set on Kawhi... but if Kawhi, Klay, Kyrie, KD aren't options... would a one year 27.6-32.7m contract be so bad from our perspective? He might not even be open to a short-term contract... just asking, would that be so bad for us? At the end of the day, he's a lengthy shooting guard whose skill set would fit great with Lonzo, BI, Kuzma... and he's a hard worker. That'd be better than giving up any of our three main young guys for Beal IMO... subtracts a quality player from Philly... and still keeps a max slot open for AD if Butler doesn't work out. Lonzo, Butler, Kuz/Ingram, Lebron, Javale. IF Butler, Simmons, Embiid can buy into each other, those 3 along with Tobias are an extremely good core to go over the cap and lock in on. I'll pick them as finals out of the East over the Celtics and even potential a Durant-Kyrie teamup in NY. I don't see Klay leaving GS, unless they don't offer him max, which I'm sure they will. However, if he leaves GS, it would be to join the Lakers. I think it will be very difficult to convince a legitimate star to join this team this summer after what became clear at the deadline. I do not see anyone with options wanting to be a part of an organization where one player and his agent have so much control. I also think it would be a disaster to punt cap space another year also. We may be looking at Klutch clients like Bledsoe next summer. I agree with that, Butler needs to be in control and the biggest control freak in the world is LBJ. 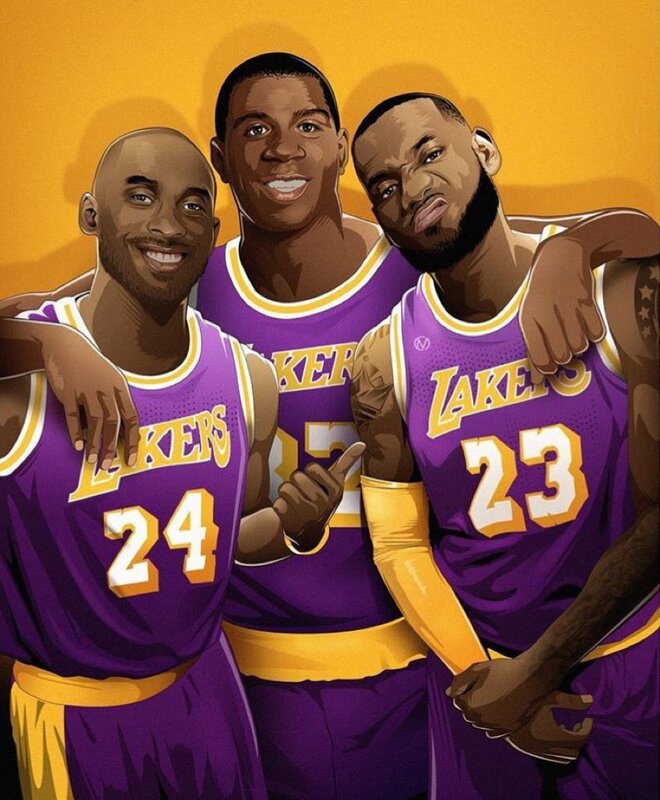 I only see one or two players fitting in with LBJ, that's either AD or Kyrie. Maybe KL could be added to those two. I can see Philly cutting Butler loose this summer, and him signing with a team like Brooklyn.